Working on some new test scripts at the moment. There's one or two people in it that I haven't drawn before and This guy, Cappy. Pretty swamped this week so I just inked up a sketch I drew of him during in the week, it started off as a lunch time doodle but I just kept ticking away at it. I'm always a bit, I dunno "surprised" isn't the right word but its all I got right now, to see Cappy with a gun and actually shooting people. 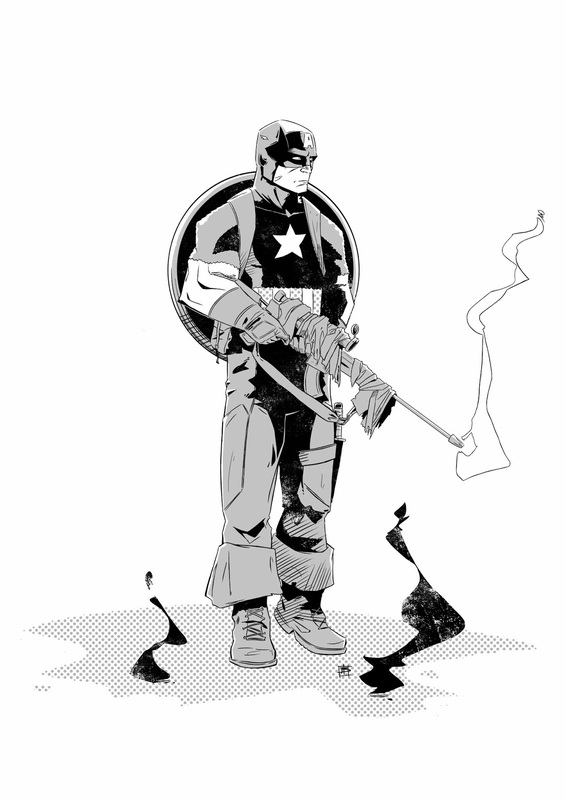 Really looking forward to seeing winter soldier so this was a lot of fun to do. hope you all dig it.